At Haggerston our rewards system acknowledges and celebrates the achievements and successes of all our pupils. In every aspect of school life students are provided with opportunities to be recognised and praised for their academic achievements, effort, contributions to the school community, behaviour and attendance. We believe that students should be regularly and fairly rewarded for their achievements, to not only celebrate their successes, but to also inspire and motivate them to achieve their learning potential and become good citizens. Achievement Points form the foundation of our reward system. Staff award Achievement Points to reward positive actions and behaviours in lessons and around the school. The benefit of this type of reward is that they provide instant recognition of a pupils’ achievement in school – from an outstanding piece of classwork/homework, to real resilience in a lesson, or from an act of kindness or generosity to a demonstration of superb progress. Students can accumulate as many points as they are capable of over the year- there are no limits – and certificates and corresponding prizes are then awarded publicly in assemblies as shown in the table below. NUMBER OF ACHIEVEMENT POINTS CERTIFICATE HOW IS IT AWARDED? Achievement Points are also an important factor in deciding which lucky students attend the end of year school trip – a much sought after prize! In addition to Achievement Points students can also receive a citation. This is where a member of staff nominates a student for a praiseworthy act in relation to the values of creativity, endeavour or resilience. Citations are read out on a weekly basis in year assemblies, and a letter is sent home to inform parents and congratulate the student. This is an opportunity for students to be publicly acknowledged by their teachers and peers and is something to be very proud of. We recognise that excellent attendance and punctuality to school are vital to students’ success and use rewards to encourage students and keep them on track. There are certificates available for every student who achieves 100% attendance and 100% punctuality. Certificates are also rewarded to those students who have significantly improved their attendance and punctuality to be awarded. These are rewarded in year assemblies on a half termly basis. Of course, we offer other methods of rewarding our pupils on a daily and weekly basis too. Students’ efforts and achievements may be acknowledged with a phone call home and/or a letter home to parents/carers. This helps us to build a relationship with parents and families and ensure that they are kept up to date with their child’s successes. Our celebration assemblies are very important events in our school calendar and are an excellent opportunity to celebrate achievements in a formal, high profile manner. 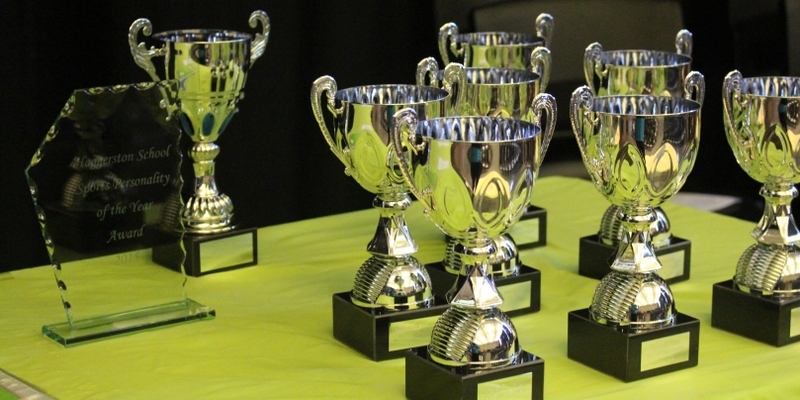 Through analysis of Achievement Points, subject nominations and attendance records we use Celebration Assemblies to praise and recognise the whole term successes of pupils who have consistently and continuously demonstrated resilience and endeavour in making progress and achieving their goals. Every subject nominates two students from each year group for their subject award and the lucky winners receive both a certificate and a book prize. There are also opportunities for students to be awarded for their achievements across the broad spectrum of school life. The reputation and high profile of this termly event involves the Head Teacher, Deputy & Assistant Head Teachers, Year Team and Form Tutors. Across the school, our pupils value and appreciate Achievement Assemblies as a means of being rewarded publicly amongst staff and peers. This, therefore, provides our pupils with an invaluable opportunity to support, share and celebrate each other’s successes together; which, in turn, promotes an acceptance of positive achievements and excellent behaviour.